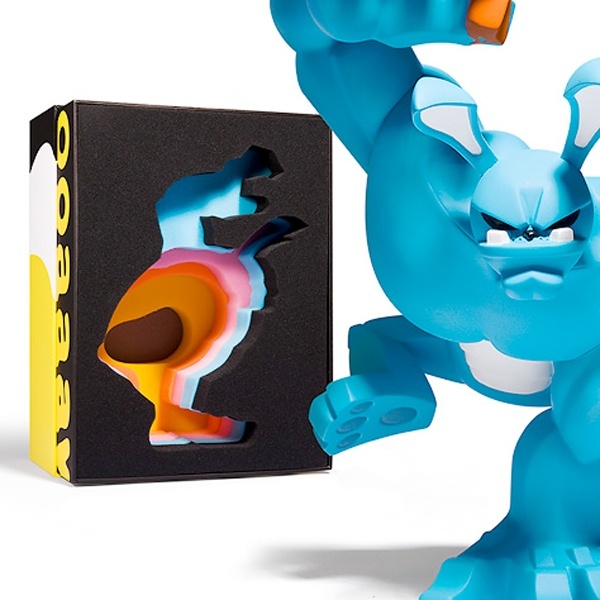 In one of the many interesting projects prepared for the San Diego Comic Convention, itâ€™s looking like Coarse Toys possesses on the of the most promising (and colourful). Theyâ€™ve just released a preview of the Paw! triptych, a triple-layered box featuring a monkey rabbit, box, felt leaf, and colour sponge. These will be limited to 50 pieces, so make sure to secure one if youâ€™re headed to the SDCC!